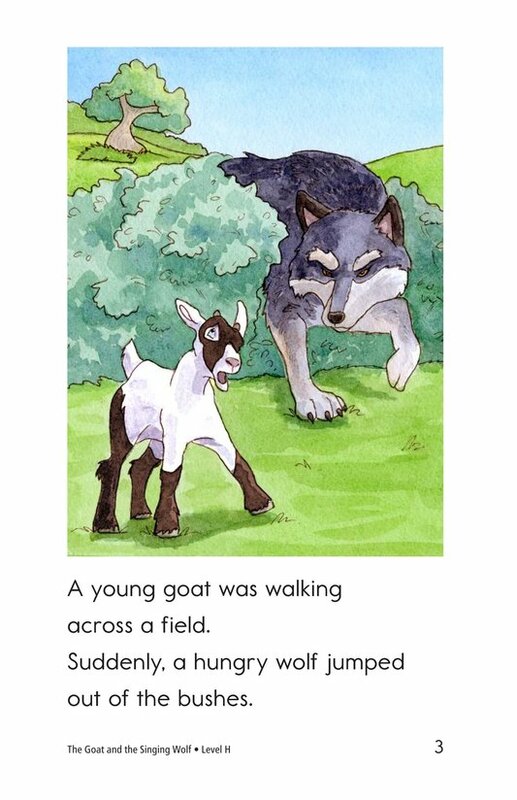 A young goat is startled when a wolf jumps out of the bushes. 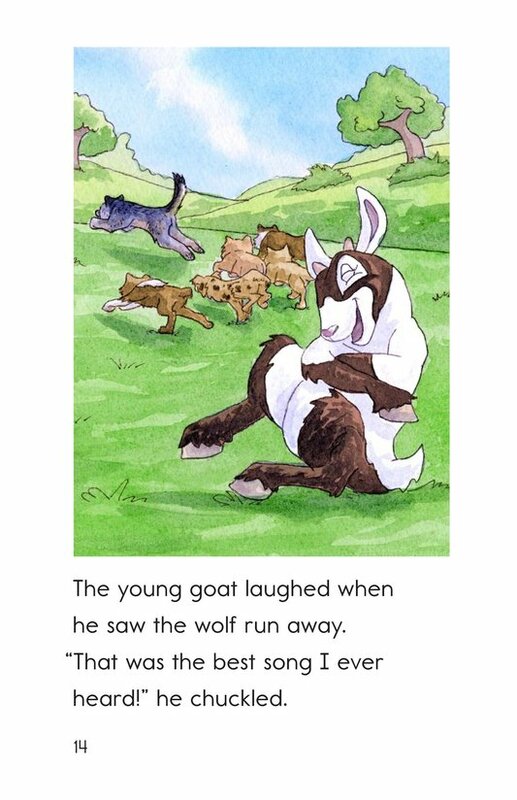 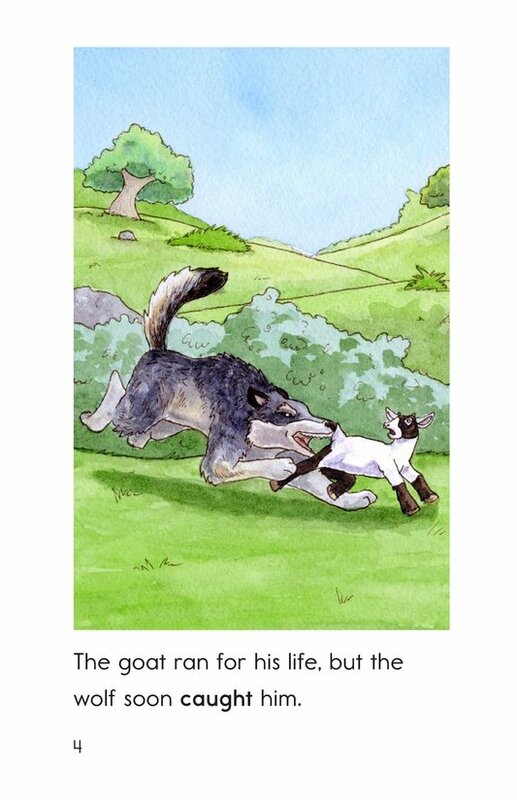 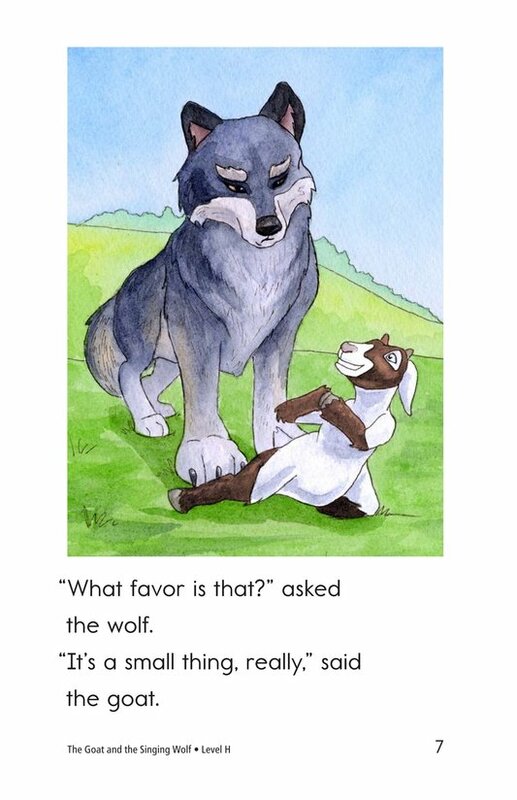 The wolf chases the goat and wants to eat him. 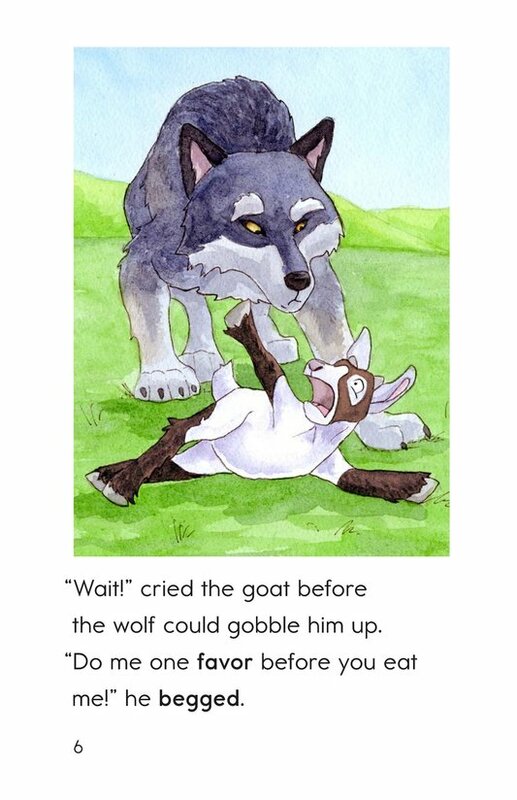 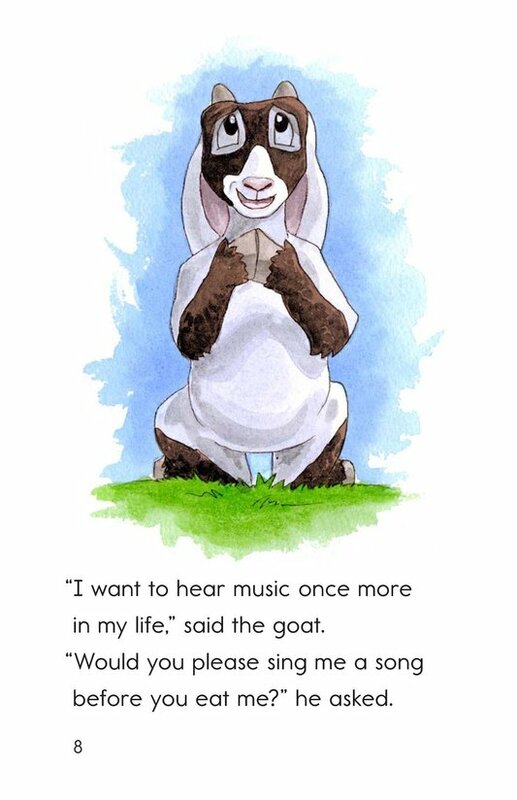 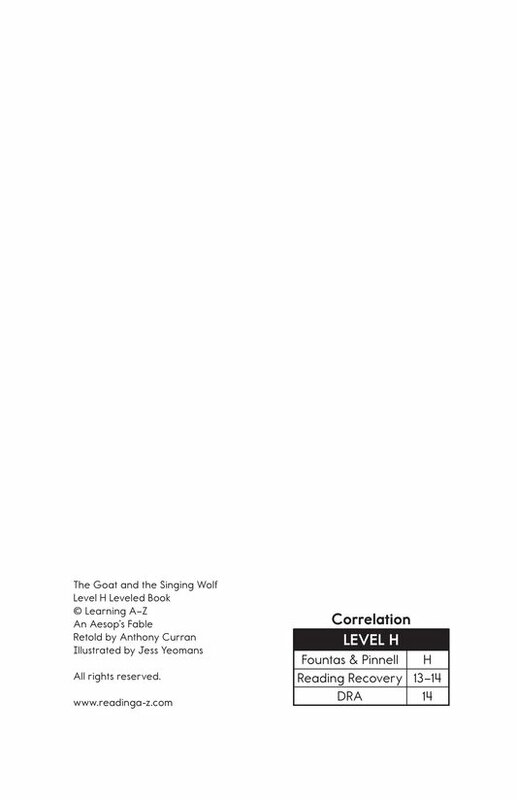 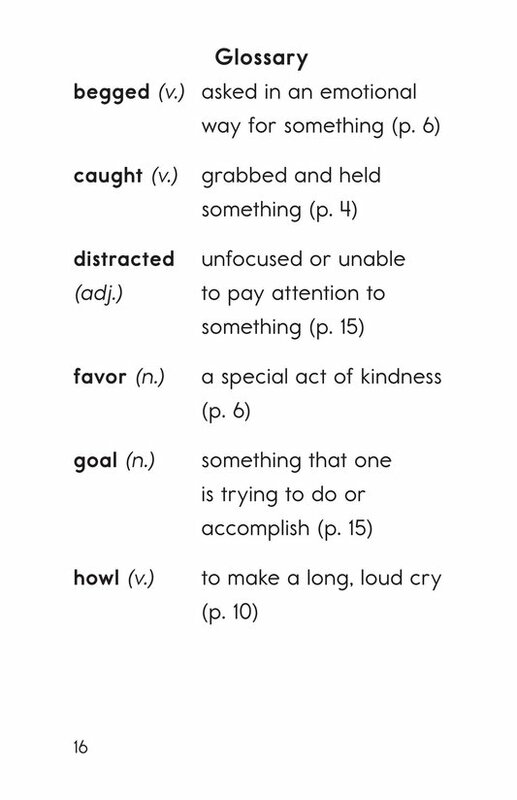 Unfortunately for the wolf, the goat is very clever and thinks of a plan to fool the wolf. 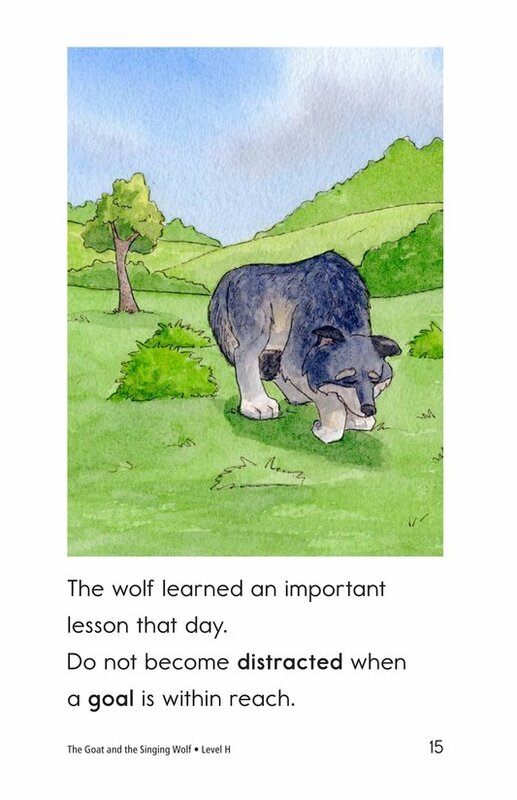 Will he succeed in his task, or will he become the wolf's dinner? 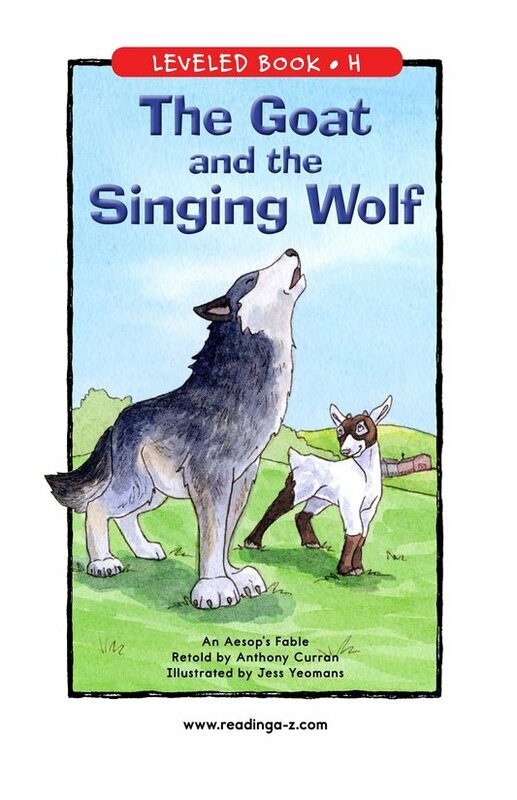 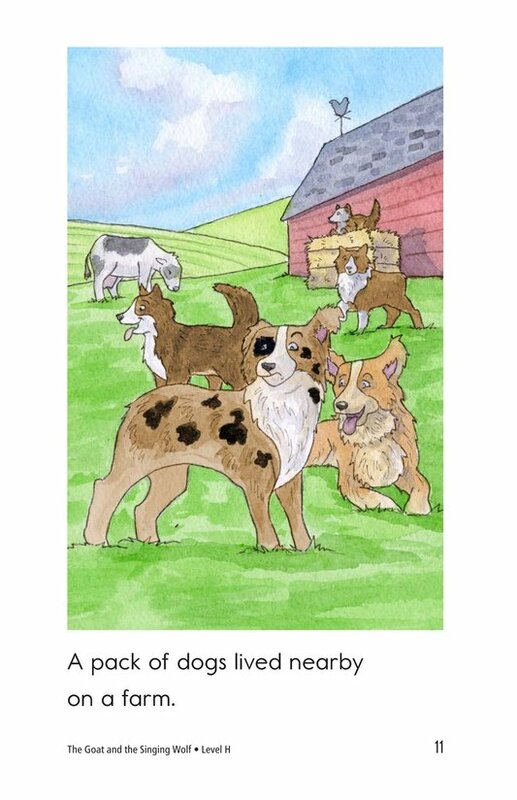 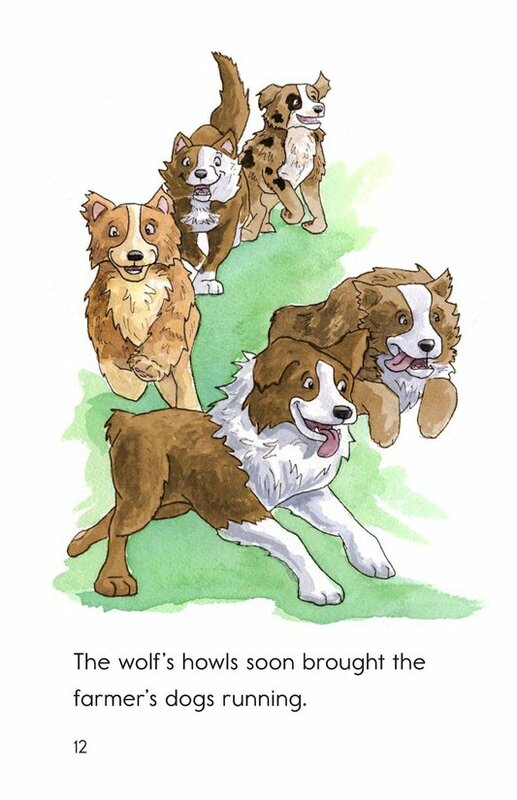 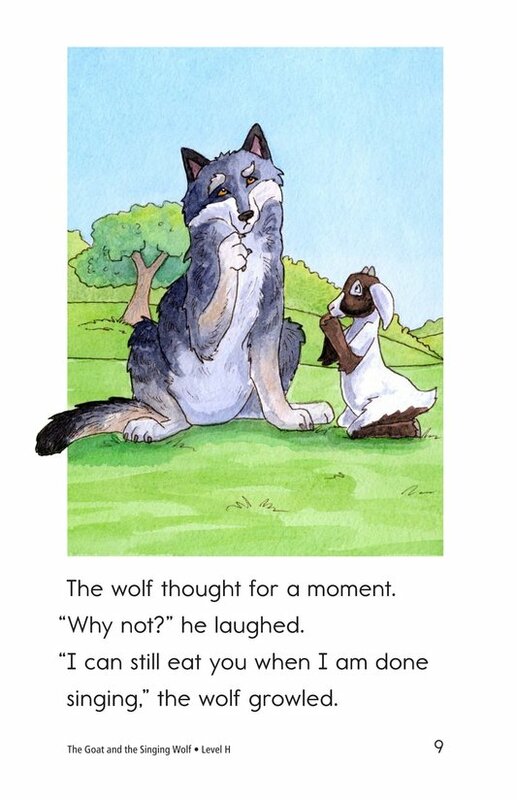 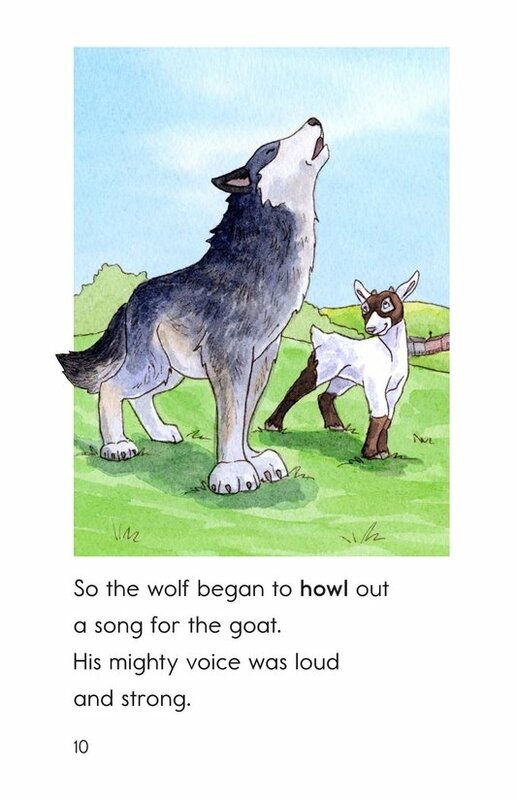 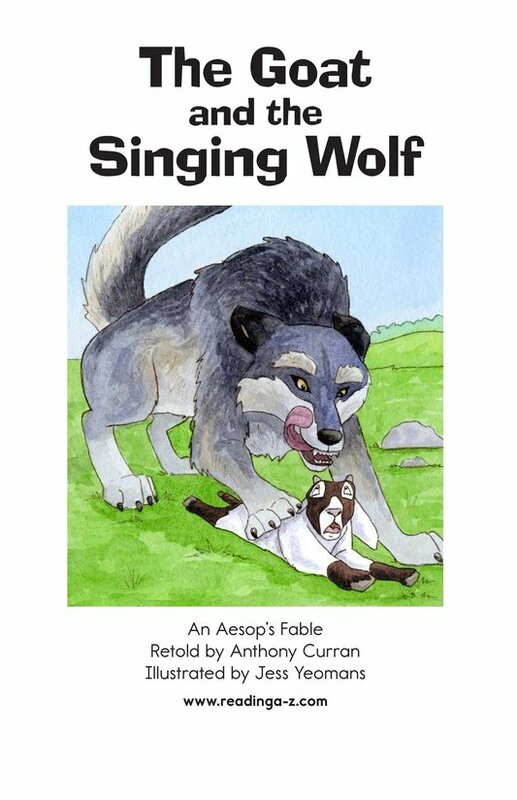 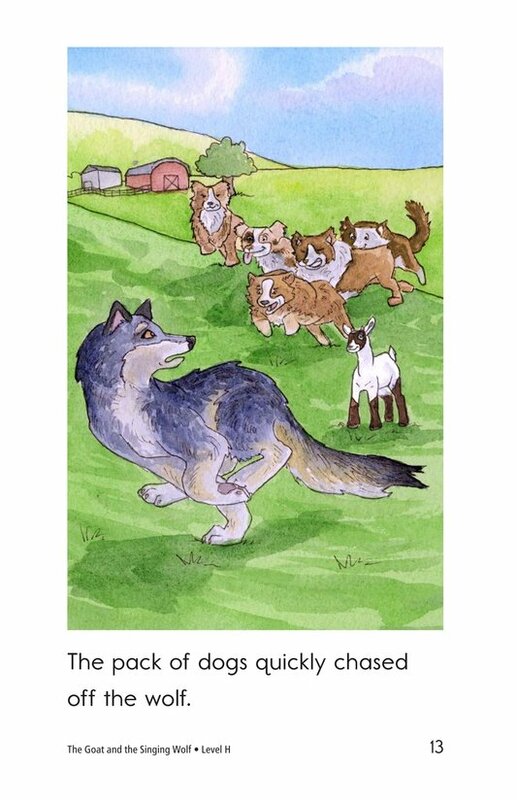 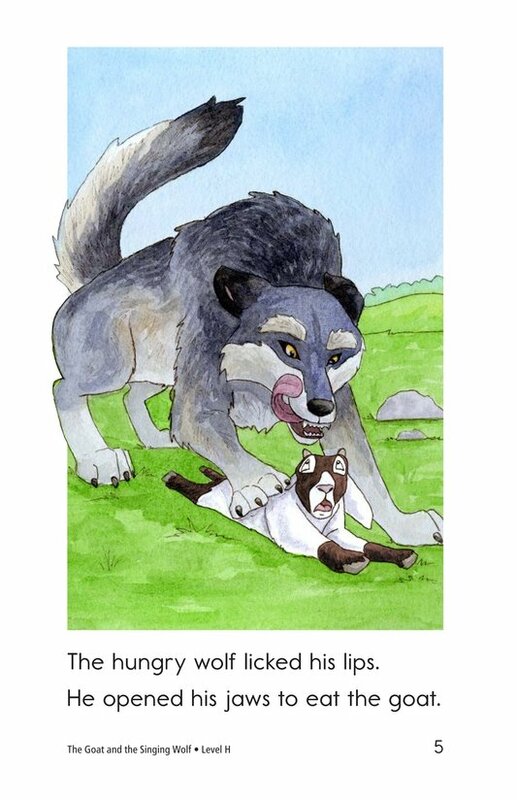 Young readers will enjoy reading to find the outcome of this ancient Greek fable!